Bangladesh Shilpa Bank (BSB) as a development financing institution (DFI) provides various function s to make an effective contribution towards the process of expansion of industrialization of the country. It has emphasized on the long term lending to the viable new projects having comparative advantages, export prospects, forward, and backward linkage and local technology as well as raw material based projects. To perform efficient and effectively, BSB in its board meeting has determined the schedule of activities of various departments and zonal offices and they are supposed to perform the tasks accordingly and the respective employee has to report according to organizational hierarchy. • At first an application form is supply to the entrepreneur. • After filling up to the application form it is submitted by the entrepreneur. • The entrepreneur supplies a project appraisal letter. • After analyzing the project appraisal, the board decides the loan should be Sanctioned not. – Historical data and information of the project. 2. To give advice to the entrepreneur about industrial investment and to give loan. They like to appraise the propose project from various aspects: Management and organizational appraisal, technical appraisal, marketing appraisal, economic appraisal, and financial appraisal. This department is engaged in collecting of loan amount with interest though there are some sorts of rescheduled and repayment facilities. Normally the collection of money in installment is having 6 or 4 months and these departments inspect the projects condition whether there is any leakage. If the borrower fails to repay the loan, it is rescheduled and sometimes interest is exempted to the sponsor for surviving the project. The bank always try to survive the projects but if the authority thinks that the reasons are the willing fault of the sponsor then it is transferred to the Law Department to take legal action. Sometimes, the project is transferred to Project Rehabilitation Department to restore the project. This department is usually involved in accounting of whole of the BSB. The central accounts department of BSB helps in the preparation of Balance Sheet. This Department keeps records of Payroll, day to day expenditure, Staff Loan, Employee Provident Fund, Pension Fund etc. Maintenance of accounts and keeping all banks records centrally. Preparation and finalization of yearly bank accounts and taking approval in the annual general meeting. Annual income and Expenditure of bank loan program and preparation of budget for maintenance and taking approval from Bangladesh Government. Collection of local fund of Bank, preserving and preparing the maintenance and confirmation of the investment. Preparation of check for approved the loan and sent to related subdivision after audit. Transaction with Bangladesh Bank and interrelated Banks and records of related accounts. Investment and maintenance for general provident fund and fund for aged person, preservation and preparation of respective accounts, to prepare the annual accounts and finalization and approval from board of directors or committee , Fixation of Income Tax for income tax payee officers/staffs; Payments and preservation of respective accounts. Maintaining the accounts of loan operations of Bangladesh Bank and Govt. regarding rigid and payments and arrangement of repayments and To send various weekly, monthly, quarterly, half-yearly, yearly and so required statement to Bangladesh Bank. 1. This Dept. primarily selects a project, which become sick. PRD investigates the project and find out the reasons of sickness and forms rehabilitation committee to investigate the projects. Fixing principles relating to organization. • To keep the interest of bank and provide legal advice. • To communicate with the govt. & other organization about administrative affairs, and To take step for implementation of computer technology for controlling of bank human resources function. Bangladesh Shilpa Bank undertakes various projects by providing finance, machinery and other aids, some projects re-implemented and successful and some projects are failed to attain the goal and these firms are called sick firm. Sick industry means the industries, which either become stuck-up during construction or could not operate successfully after implementation. These projects could neither pay back the banks dues nor make any contribution to the national economy. These projects were identified as sick industries in Bangladesh, which has no specific statistical data. Here the main objective is to identify the causes of sickness of these industries. 1. The reasons that are beyond dies control of the project owner. 2. The reasons that are control of the project owner. The above causes are further divided into six causes. The causes are discussed below according to their importance though all of the causes are important. Loan application with insufficient amount of money that would not meet fixed and operation cost. Economic problem comes from the social cost benefit analysis. Higher fixed cost i.e., increases fixed cost as result of increasing of the price of machinery, land, or any other fixed items. Measurement of investment outlay and cost of the project are not appropriate. When the means of financing is not available. When the project is not profitable. When the Production is not reached at the break-even point. When they cannot calculate appropriate risk level of sick. Cash flow of the project is not available. When variable cost is increasing. Does not ensure sufficient mortgage. Improper inspection of Bank financed project. 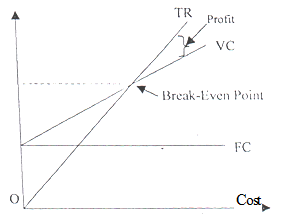 If market interest reat4e increase, cost of working capital will increase as a result the project may become in sick. Delay of supply of machinery procurement & rapidly change in technological environment. The economic problems, which lead an industry towards sick, are as follows:-• Economic problem comes from the special cost benefit analysis; ” It does not impact on the distribution of the income in the society as well as the level savings and investments. • Political instability, which adversely affect the production. ” Insufficient facilities provided by the govt. to industrialist like tax rebate etc. • Political problem like worker unrest, strike etc. Normally, BSB provides the long-term credit needs for implementation of the projects. BSB also provides working capital to its financed projects only to a limited -scale. While sanctioning loan by BSB, provision is made for commercial banks to provide 70% of the working capital needs But in most cases, it is found that the project management either can’t all raise the required working capital from the commercial banks, or they can’t raise required amount in due time. As a result these projects could not go into operation on schedule time and they were unable to pay the interest and the principal amount; at last they treat as a sick industry. The initiator is unable to pay sufficient money at the implementation stage. Problems and the burden of loan interest are also increased. The initiator is unable to pay the loan installment and other liability. Increase the tendency of undertaking unfair means in preparing the papers of stock materials. If profit from investment is decreasing gradually. If the project faces loss gradually. If the production level decreases considerably. To take loan from various sources at a high rate. Applied for a large amount of additional loan. Non-cooperation tendency with the loan providing bankers. Lacking of perfection in the market. For identifying a sick industries the following criteria may be consider by cost benefit analysis. If the cost of the project is more than the benefit then the industries is to be consider as sick industries. Sometimes industries can not recover the cost of the labor material, for this reason the industries goes into loss. From the above classification we could observe that major problems like management, marketing and working capital caused the project to be sick and the percentage were approximately 22%, 20% and 23% accordingly. Around 71 and 61 projects of Food & Allied and textile were become sick projects respectively and the reasons behind this discussed in the above. In 2008, BSB has rehabilitated 53 projects, which were given loan before 1998s. I discussed the reasons behind sickness of this projects and I have found that as there were influence of pressure groups to sanction a loan before and after getting the loan most of the borrower diverted their money into another asset as a result, the projects became sick. Again, for lack of adequate experience and efficiencies most of he entrepreneurs of textile sector failed to succeed and around 23 projects were liquidated and BSB recovered their principal money and remaining 30 projects file was sent to he Law Department. 1. To examine the project appropriately. 2. To calculate the project cost in a proper way. 3. To identified whether the proper place is selected. 4. Proper observation must be given at the time procurement of machineries. 5. Ensure that skilled and experienced personnel are easily found. 6. Proper steps are taken to protect uneven breakdown of electricity. 7. Ensure mat proper people are involved in managing the committee. 8. Ensure the financial capability of the initiator. 9. Ensure the procedure of makeup the preliminary cost and the doubtful loss. 10. Ensure the quality of the produced product. 11. Ensure the proper way to marketing the produced product. 13. Proper plan is taken to implement the project. 14. Steps are taken to avoid the potential conflict.